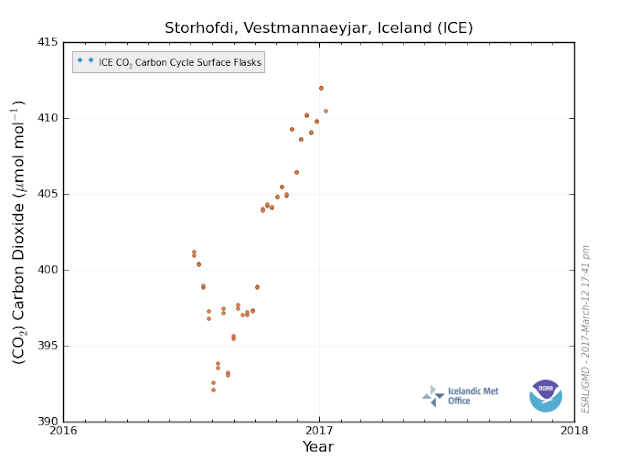 The reality is that we are in abrupt climate change and the indicators of increasing Co2 and Methane are extremely disturbing. 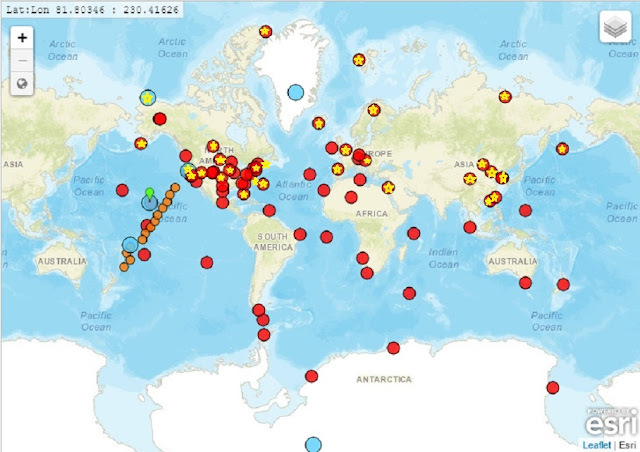 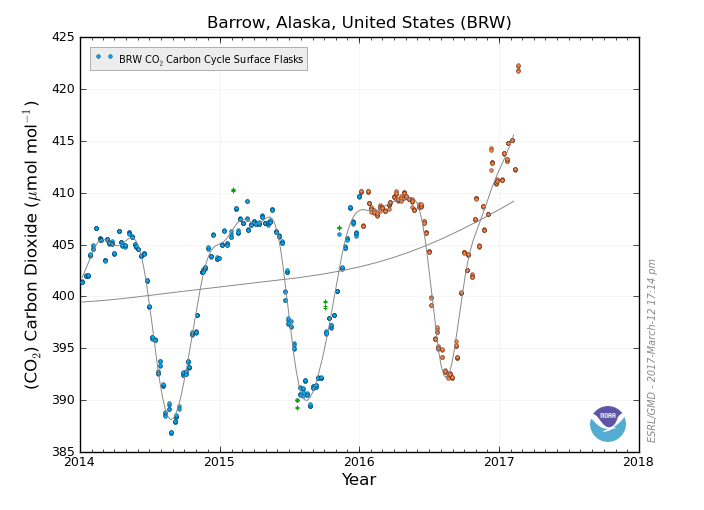 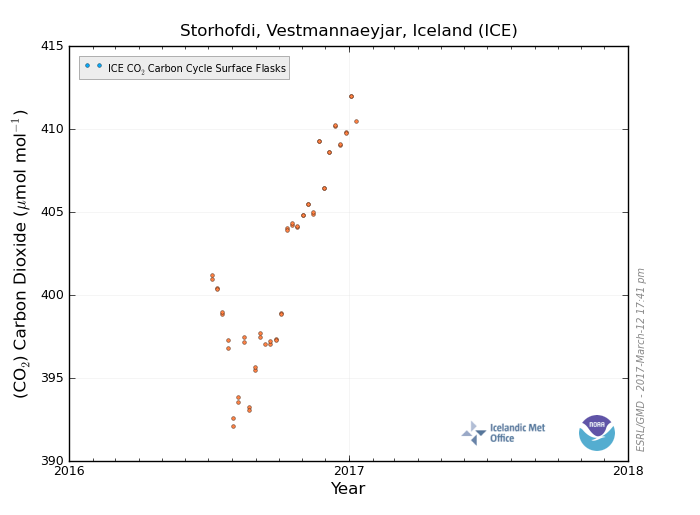 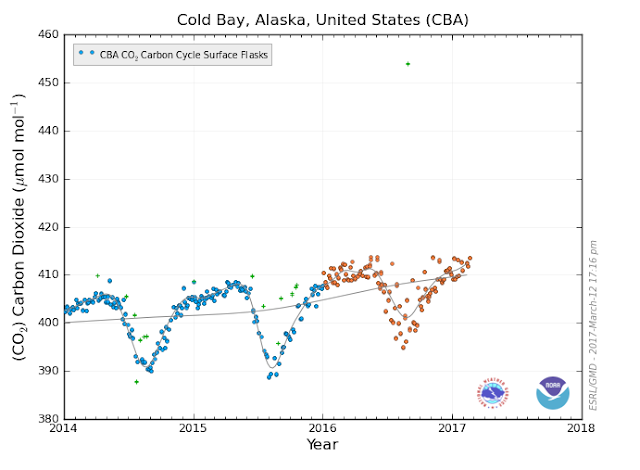 Are all the highest readings in the Arctic, or are all the Arctic sites registering readings significantly higher than Mauna Loa? 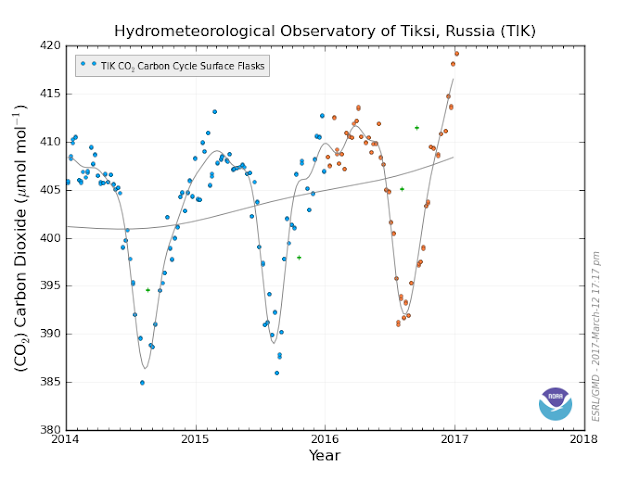 Just speculation on my part, but maybe high Arctic CO2 indicates that CH4 has increased in the Arctic and is degrading into CO2. 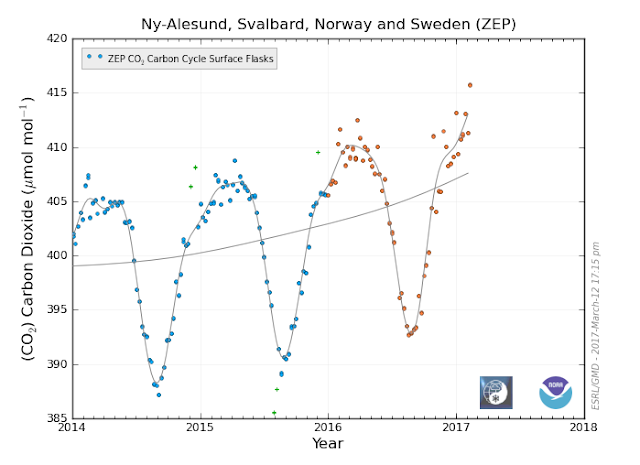 What are your thoughts on this?